How To Make Money Online ...:::: Earn Methods ::::... AdSense is a Google product, and paying the highest rates in publisher. for this resin, AdSense became the 1st choice of every webmaster. AdSense also displaying Ads on YouTube channels. Google are only accept best content website. 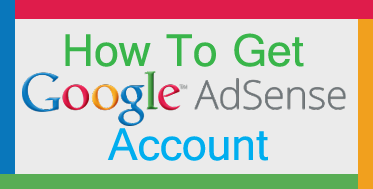 To get easily approved AdSense account, you need to take some steps to approve your account. 1: Professionally designed your website/blog with unique content don't use copyrights content. 2: your blog has neat and clean look, and use good color to your website Template. and your site are Good user experience. 3: Must write some big article, above to 500 words. never apply if your blog has less content, otherwise AdSense reject your application by saying (Insufficient Content) to your website/blog. 4: if your Website/Blog traffic Main source are social media, "facebook" then Google not accept your application, you must be 100 user are in "Google search engines". and your website/blog must be six month old, and more then 200 visitor per day, with 100 user are in "Google search engines". 5: your domain must be top level, not use "blogspot.com" or etc. and your domain must be six month old. 6: You must be 35 to 40 post in your website/blog before apply. and don't copy article to any directories, or other websites. How To face AdSense Policy and Violation. you read and understand AdSense "TOS" every term of service carefully.